Welded tanks. 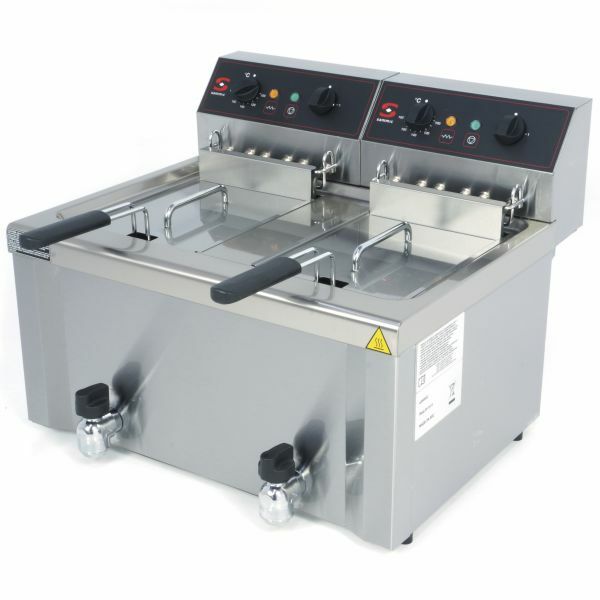 Capacity: 12+12 lt.
Welded-tank commercial double electric fryer complete with drain taps. Welded tanks complete with drain tap.